We love cooking and baking, whizzing up some tasty treats in our kitchen but over the Easter period we were far too busy visit family and friends for any Easter treats. Baking is generally something that I do to keep myself occupied and now Isabelle is getting a little older and wanting to help out it’s the perfect opportunity for us both to enjoy. 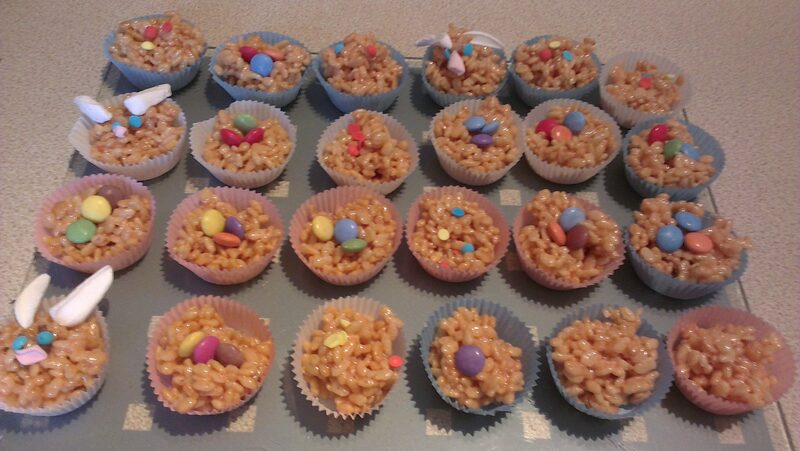 So today with my little helper, Isabelle, we set about creating some Rice Krispie Cake Masterpieces. It’s been a while since I had attempted to create them but they are really simple to make even with children little monsters involved and of course it reaches a full fun factor for them to. The best part is the decorating….ok I lied the best part is the tasting but decorating them is fun to. So how do we go about making our fun snacks? 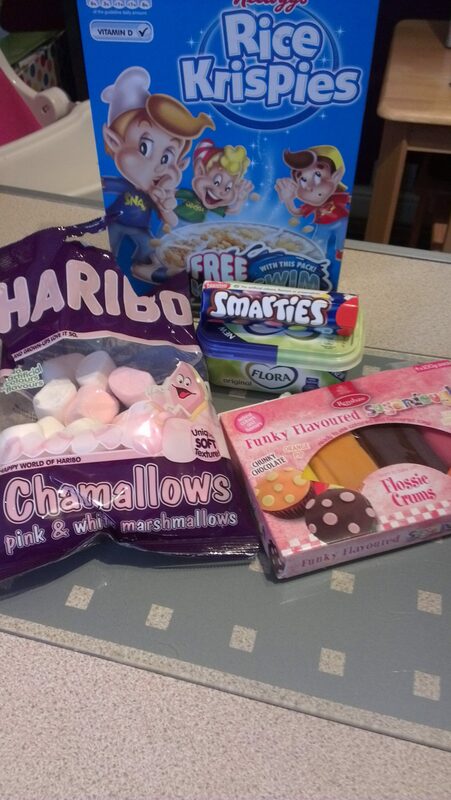 300g of marshmallows, preferably all white but if you can’t then the white and pink are fine. You need around 40 of the standard sized ones. And then you have your decorating items, I opted for Smarties, Marshmallows and ready-made icing but you can decorate with anything you like, there are no rules. My method was plain and simple; pop the margarine in a pan on the hob on a low heat until the margarine has melted. I then added the marshmallows and stirred until these melted to and I was left with a completely lump free sticky mixture. 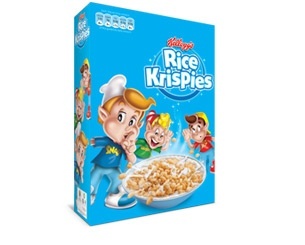 It was time to add the Krispies, I prefer the Krispies extra crispy but it’s up to you to judge how much you want in there. When you are happy with the consistency start to spoon the mixture into cases, again it’s up to you how much you want to fill them. It was incredibly sticky to spoon into the cases, but I did pick up an amazing tip from the Rice Krispie website under the fun Easter recipes section, butter the spoon first to help ease the mixture off the spoon. Apart from the decorating the treats that’s pretty much it, fool proof! It was a great start for Isabelle for her introduction to the baking world, she loved helping out and helping herself to the little Krispies almost as much as she loved sampling her creations. We were a little inventive trying to create some Easter Bunny type decorations but the rest we filled with colourful Smarties and icing dots.